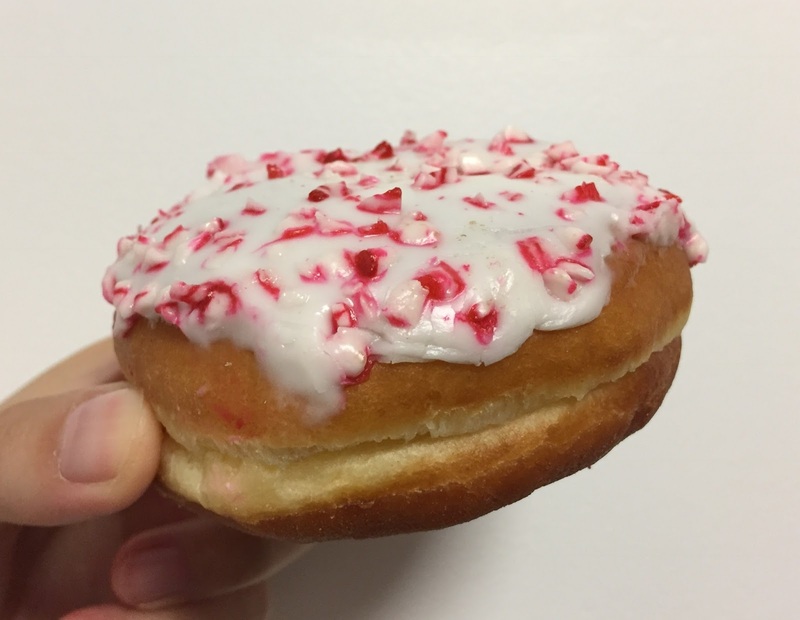 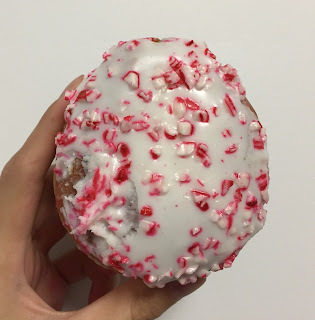 Dunkin' Donuts launched some new items on November 1, 2016, and we tried Candy Cane Crunch Donut. 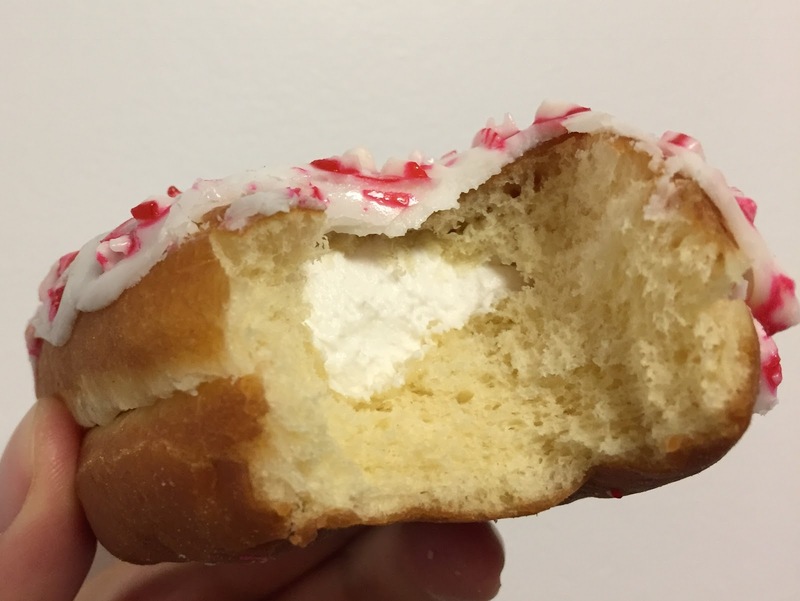 On the white icing, there're crushed candy canes. This yeast donut was fluffy and there's vanilla cream filling in the center. The icing was sweet but the mint flavor of the candy canes helped the aftertaste be unexpectedly refreshing.